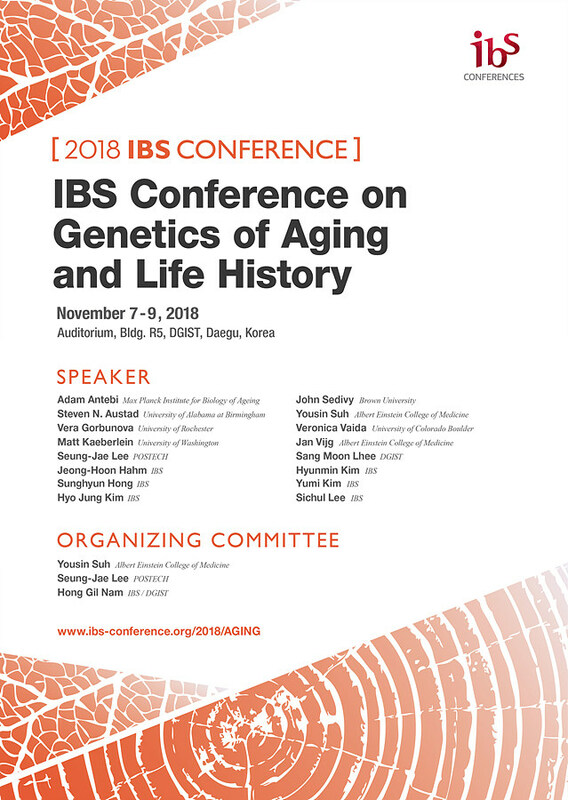 “IBS Conference on Genetics of Aging and Life History” will be held from November 7 to 9 at DGIST, Daegu. Globally-renowned scholars in the field of Comparative Aging Research will speak at this conference. Your interest and participation would be much appreciated. Thank you.